Proven on shop-floors with millions of robot programs generated and executed. Robot offline programming using AUTOMAPPPS robot programming suite. Offline programming and painting simulation with AUTOMAPPPS robot offline programming software. 12 Fanuc robots grinding. Multi robot offline programming performed with AUTOMAPPPS robot programming software. KUKA lwr iiwa with mobile plattform. Robot programming tool: AUTOMAPPPS. Automated programming of robots for touch-up application - using AUTOMAPPPS software. Dual robot bin picking usinf AUTOMAPPPS bin-picking software. Robotic applications programmed with AUTOPMAPPPS robot programming software. Upper row from left to right: robotic sanding, robot inspection for touch-up (both robot offline programming and simulation), random bin-picking, 3D measurement, powder-coating. Courtesy of: ASIS GmbH, Micro-Epsillon Messtechnik GmbH & CoKG, bsAutomatisierung GmbH, AICON 3D Systems GmbH, Jungheinrich Moosburg AG & Co. KG. AUTOMAPPPS is a family of robot programming software tools developed by Convergent Information Technologies GmbH. The robot programming software covers robot offline programming and reactive robot programming as well as robot bin picking. 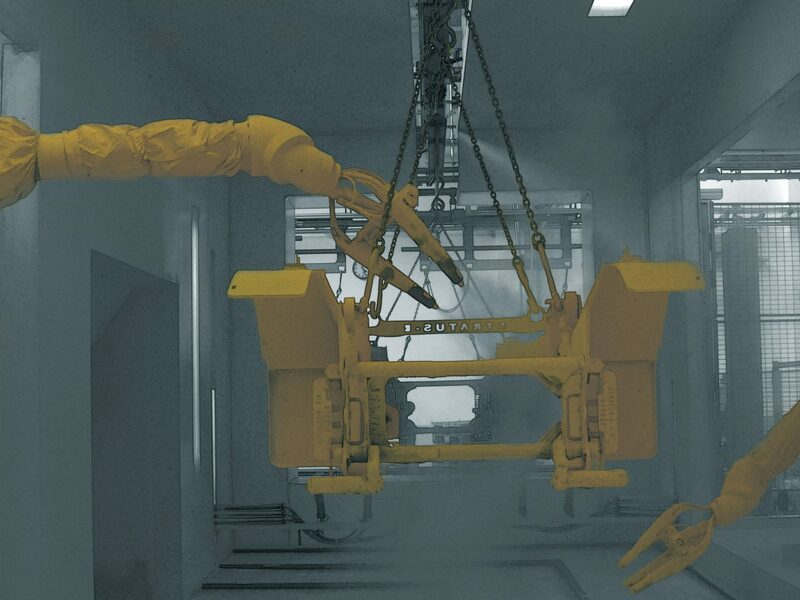 Tens of millions of collision-free robot programs are generated per year for different applications supported, ranging from spot-repair to painting, grinding, a.s.o.. AUTOMAPPPS software is used for more than 10 years for programming robots fast and reliably in the background. AUTOMAPPPS robot programming software supports currently 15 robot producers. The robot programming suite can use CAD data or sensor data of the part. Several process models are provided for embedded process simulation. Deployed applications supported by automatic robot programming include robots for production and service robotics. We are members of euRobotics Aisbl and effra Aisbl and ManuFuture for the advancement for robotics and manufacturing.